Watch one of our Live Performances on QVC! 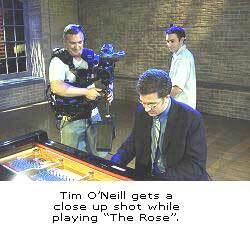 Recently, The O'Neill Brothers began performing live on the QVC shopping channel. QVC is the second largest television network in the world, selling specialty products for personal and home use. 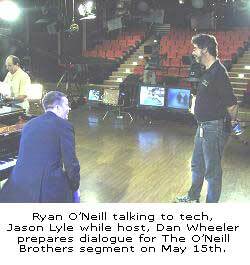 Though The O'Neill Brothers presented their products to QVC in the past, they did not receive a response. However, luck struck when they were performing at an art show in Milford, Connecticut. Tim O'Neill met a QVC representative who was impressed with the expansive collection of The O'Neill Brothers' CDs. The rep presented the music to QVC buyers as a Mother's Day gift possibility. The buyers were delighted with the O'Neill's' From the Heart 3-CD box set, featuring their Mom's favorite songs such as "Edelweiss," "The Rose", "Music Box Dancer", and "Moon River". 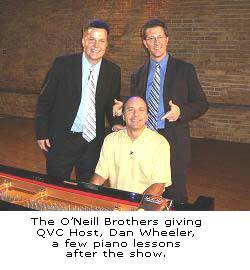 After just a single eight-minute performance, The O'Neill Brothers sold out of QVC's initial order of CDs. Amazed by their immediate success on the air, the television network invited them to return. They continue to appear throughout the year, featuring performances from their most popular collections.